What happens if, after Britain leaves the EU, the rest of the planet destroys itself through some kind of ethical-nuclear misunderstanding? What happens to an independent England in total isolation? “That Happy Breed” is a science-fiction vision of ‘an island in the moon’, adrift on shared history and past glories, visions of empire and sightings of rabbits on the copse. Between the 3rd and the 9th of October, WORM hosted Dominic Robertson in the sound studio. 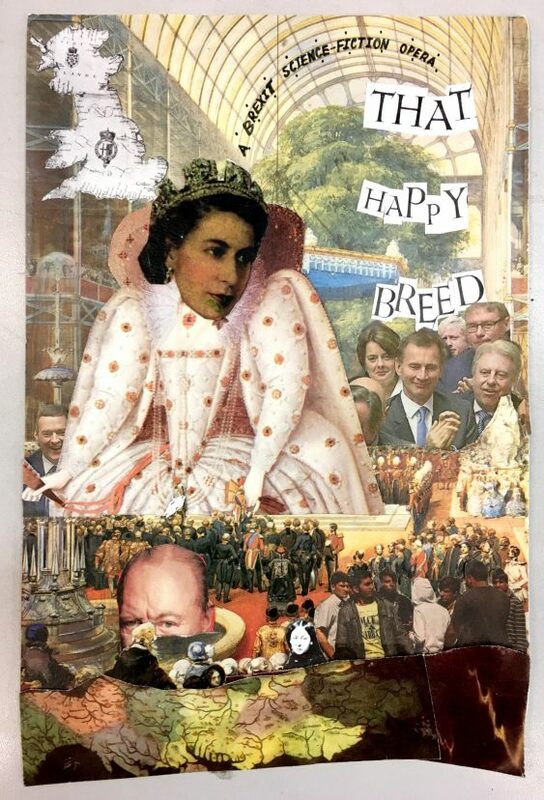 He is working on the upcoming Brexit opera, That Happy Breed. Dominic is lauded by some as one of the most talented writers and composers of our time. This opera will explore the “madness of isolating oneself” (according to Dominic) as the UK has done. On the 3rd of October (the date of this interview) he is working on a part of the opera featuring the Queen’s speech. On the 4th, we asked him about Rotterdam (his personal relationship with it and the meaning of hosting a Brexit opera in this city), and the role that crufixes will play in the opera. “Everybody deserves the luxury of their very own metropolitan seaside, wherever it may be, and whatever form it may take. “That is to say, utopia is a very personal thing, but the only way to achieve this private utopia is through a mutual understanding that everybody else is also attempting to reach their singular shangri-la.